Description webanchor.net is only company which has his own data center. 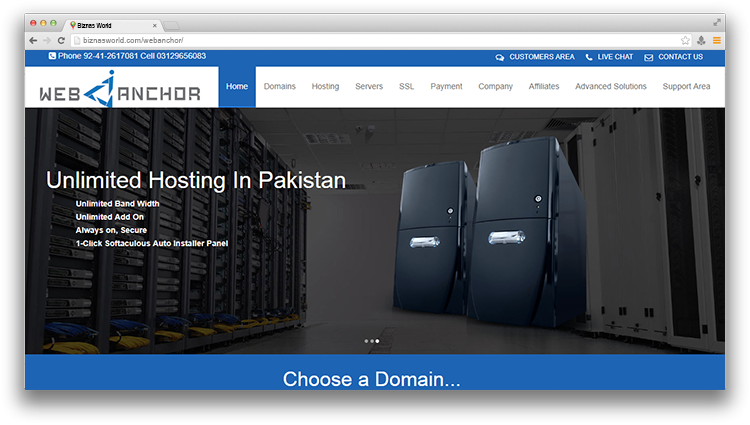 we can provide webhosting in France, Usa and pakistan. we can also provide domain registartion and domain reseller account. we alos deal in ssl certificate in pakistan. we can also provide vps in pakistan. Address Office # 13 2nd Floor Choinit Bazar, Faisalabad.